The living and the dead. The living and the dead - a Sam Winchester (Jared Padalecki) wolpeyper created sa pamamagitan ng TheCountess (me) for the TV series 'Supernatural'. 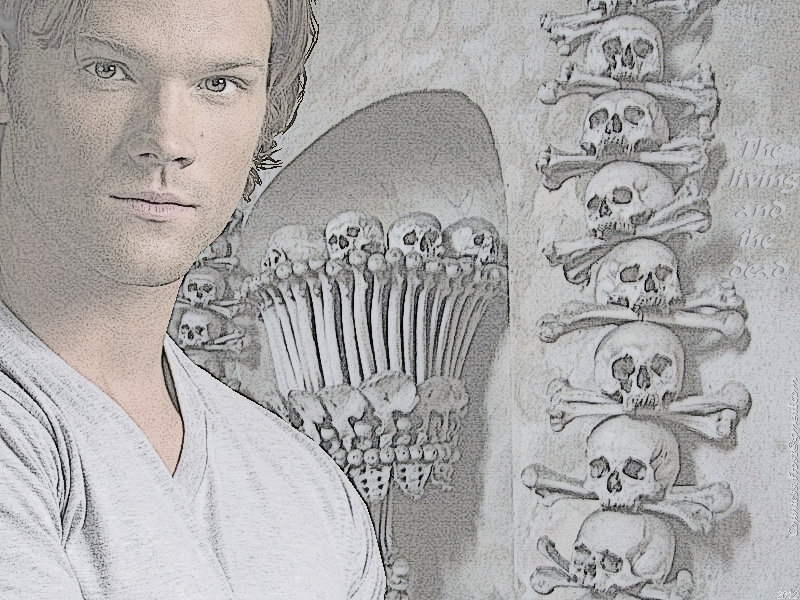 HD Wallpaper and background images in the Sam Winchester club tagged: supernatural spn tv series sam winchester jared padalecki hunter fan art wallpaper thecountess. 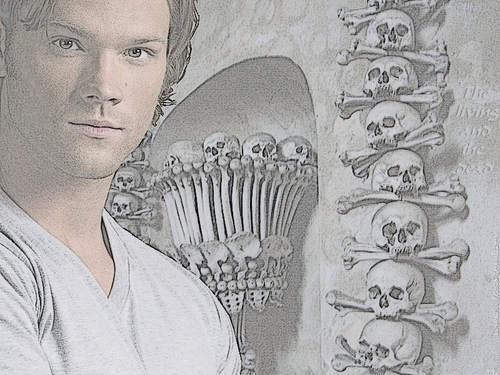 This Sam Winchester wallpaper might contain sign, poster, teksto, and pisara. sam you have made supernatural looks sooooooooooooooooo beautiful and cute.